Today everyone is interested in earning an extra income by doing something related to them. Be it developing a code to designing an app, every need of yours are being satisfied by millions of freelancers all round the world. But, not all the freelancers get the right amount of jobs in order to sustain their income. 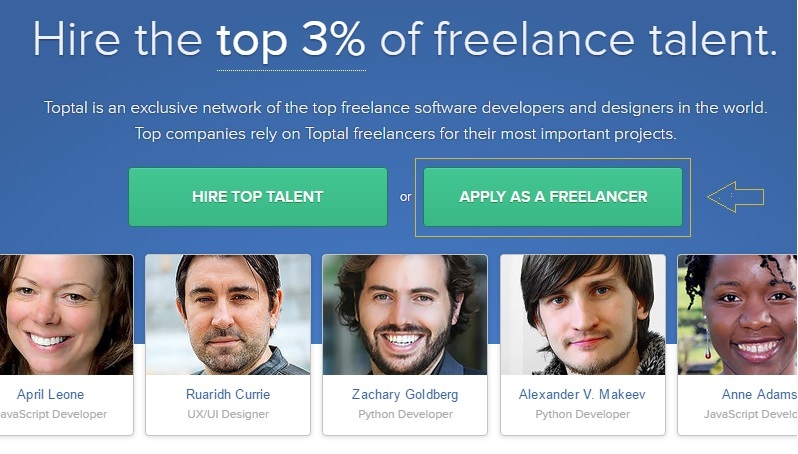 In order to overcome this deficit and make every freelancer get an income he or she is entitled to, Toptal offers freelance software engineers and designers to those companies who are in need of these talents. To put it short, Toptal provides you an array of freelance web-developer jobs and also a string of web development jobs online, once you enroll with them as a freelancer and get selected. Founded in 2010 by Beneschott and Du Val, there is a long and tedious process awaiting the freelancers who wish to associate themselves with the company, but, the wait is worth every penny as Toptal is currently the #1 marketplace for freelance designers as well as the recruiters, as announced by Deloitte’s Technology Fast magazine. 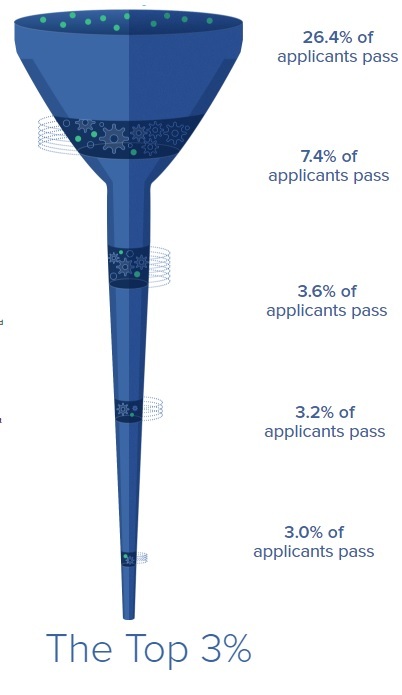 The following pictorial representation will aid you about the testing and the ranking system followed by the company. This scheming system the company has is known as ‘The top 3’ system which enables the company to filter 97% of the total volume of applications received each amount and select the remaining creamy layer of 3% only. Thus, the freelance jobs posted online in this platform are all available to the creamiest of persons only. Hence, as a freelance web developer you will start earning a hefty amount as salary along with the right amount of respect and recognition received. 1. There are simply no registration fees with the company and no hidden payment schemes like learning objectives, inbuilt courses and so on. You enroll, get selected and start earning. It is as simple as that. So, as a freelance web developer, Toptal is an excellent place to begin your career with. 2. There are no termination costs – If your service is not up to the mark or if you want to dissociate yourselves from the Toptal team, there are simply no costs involved. You can relive yourselves whenever you want to and your pay up to the last pence will be settled. But, the web development jobs online you get here cannot be paralleled anywhere else. 3. If you are a recruiter, then you will have the ease to select a trial period for a particular freelancer and examine how he or she works. If their work is like by you, then you can continue; otherwise, you can bid a goodbye. That’s it..!! Sounds great, right? 4. 24*7 communication with a freelancer for a recruiter and vice versa, is possible only with toptal. You can’t simply expect these features anywhere else. So, as a freelance web developer, you can seek the help of the experts anytime. 5. There are a bevy of freelance jobs online for a freelancer when it comes to the usage of Toptal because every top notch company comes to us, whenever they are in need of freelancers. So, your pay is guaranteed. The freelance web developer salary is very much on demand here. Once, you complete your registration, the page looks like this. 6. You are free to work from anywhere. Your couch or your bed or your kitchen, any place can be a workplace. Hurray..!! No need of wearing formals and follow dress codes. You are your own boss..!!. You can conduct your office, right from your couch or bed. The option is yours. You don’t need to groom yourselves, no worries about make-up, costumes and accessories. You can be completely yourself. It is easier for you to express yourself in this way and there are no inhibitions and disturbances. Thus, if you want to begin your career as a web developer, do enrol yourself with Toptal and scale your achievement to greater heights. 1. 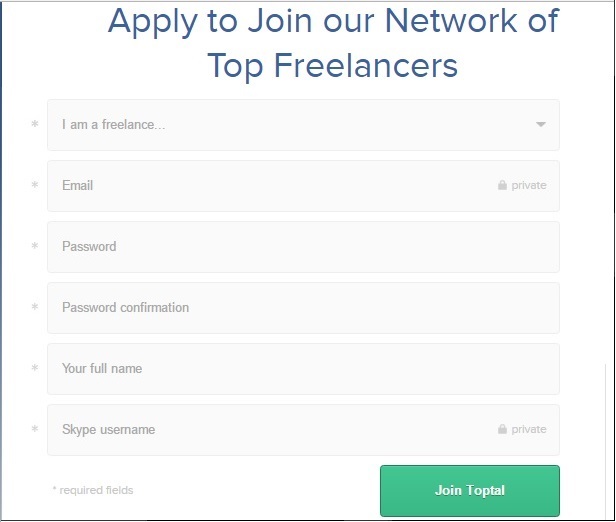 Open Toptal site by clicking here to start working as software freelancer. 2. Click on ‘Apply as freelancer’ to get freelance jobs online, web development jobs online or other freelance web developer jobs. A form open so Fill the details and hit the button ‘Join Toptal’. And be ready to explore web development jobs online. Congrats! You have successfully applied and registered with toptal. This page will show up asking you to fill in your details and provide your resume to attract lucrative freelance web developer jobs and be able to draw huge freelance web developer salary. Once you fill all information then you will get call from Toptal engineer to review your information . After review process complete then you have to go through screening process. On successfully completion of screening process then you will be ready to join the toptal network. As you know they need only 3% cream people so obvious process of screening is very tough and passing this process give you unparalleled access to meaningful projects with great clients like JPMorgan, Zendesk, Airbnb and fair compensation (no low-bid contests). 1. Initial interview: (about basic communication skill):- They check if you know English language enough to do work. 2. Codillity challenge: They give 90 min to solve 3 problemsand it is hardest part. As per one of participant, you have to attempt at least one and problems does not belongs to your day to day coding type. 3. Skype challenge :Easier than coding and there would be 2 round of 20 min each where you need to solve 2 problems. 4. Project: You will get small project which you need to complete in any technology and then present through skype in 10 min. How much does Freelancer earn? In Toptal the pay varies on developers and client’s budget. Typically lowest you earn approx $30-$40/hour or $1400-$1800/week and highest can be $2800-$3000/week. This amount is not fixed its approximation. Give one try if you are interesting in development and earn 2-3 fold more money than what you are earning now.This platform also give you good chance to grow and learn new things. This blog is nice and informative as well. You have shared some new things about toptal which is good for people who are using it or thinking to join this. 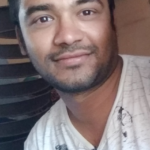 I too have used one website for mine freelance work where i had been great experienced and got good clients and projects(http://www.hifreelancer.com). So for sure people would love to see this website for their work and it would going to be good like i felt when i have gone through this website.